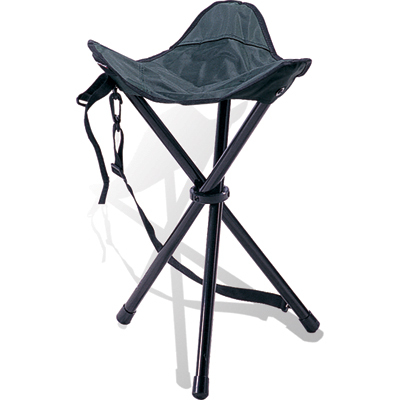 Constructed of strong lightweight aluminum alloy and canvas fabric, this is the stool of choice for those who require the lightest portable available. Triangular seat gives even support. Carry strap can be positioned over your shoulder or even attached to your belt for easy transporting.